TOPIC | Theme Week: Coliseum! With the start of Drakeharvest, dragons everywhere receive bonus experience and plant drops in the Coliseum! This week, show off your main Coliseum team (3 dragons) and tell us a bit about them! Click here for this week's discussion thread and Yellow & Brown spotlight! Gem! [url=http://flightrising.com/main.php?dragon=37987631] [img]http://flightrising.com/rendern/350/379877/37987631_350.png[/img] [/url] heres Gem, my clan leader and highest level battler, shes a bit ambisus when it comes to landing her hit, so she tries to do it in style, and sometimes misses her hit. Twilight! [url=http://flightrising.com/main.php?dragon=39282360] [img]http://flightrising.com/rendern/350/392824/39282360_350.png[/img] [/url] heres twilight, she often sneaks in the shadows to ambush her opponent, she often lands her hits, hunter! [url=http://flightrising.com/main.php?dragon=39043738] [img]http://flightrising.com/rendern/350/390438/39043738_350.png[/img] [/url] heres hunter, she gets straight to the point, no fooling around, no styling, just hit it and kill it, she gets very frustrated when she misses her hit. heres Gem, my clan leader and highest level battler, shes a bit ambisus when it comes to landing her hit, so she tries to do it in style, and sometimes misses her hit. heres hunter, she gets straight to the point, no fooling around, no styling, just hit it and kill it, she gets very frustrated when she misses her hit. ATHRU is one of mature Betas but he's the only one who knows perfectly coliseum bestiary. He's eager to learn about monster's tricks and abilities to deal with them better in the future. As strong wolf he became Isitharus' right hand in most important fights. Not as fast as Suudlus but he's able to predict others moves. SUUDLUS knows pretty well how to behave towards robotic monsters in Golem Workshop but he also wants to encounter natural and strong opponents. His shady paws make him one of greatest tricksters in lair. As Beta he's extremely agile and aggressive. ISITHARUS as an Alpha wolf keeps looking at his Beta partners during every fight. He also takes part in main battle confrontation when there's not enough strength. But then it's highly possible that his attack will be deadful for all enemies on the battleground. Simple advice: don't try to provoke him at all. i love these three so much. meet the Autumn boys! Sandstone's first son, Pardofelis is a quick-witted and brave warrior, also part of the original team. his eyes changed from a fight with a Maned Rasa full of earth energy. Pardo's little brother, Swithin is a skilled archer. while still training, he proves to be the perfect fit in the new team. [url=http://flightrising.com/main.php?dragon=35447783] [img]http://flightrising.com/rendern/350/354478/35447783_350.png[/img] [/url] Lunarin He’s the first dragon I leveled to 25 on my own and I’m very proud of him and I hope to someday give him eliminate but I don’t want to waste a ton on buying one so I hope to find one in the coliseum. 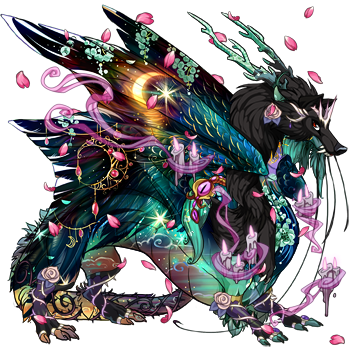 Otherwise Lunarin is the only one on my current team I’ll be keeping long term as he’s one of my favorite dragons. 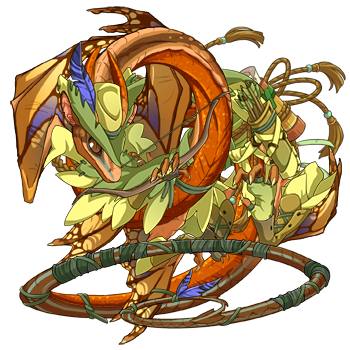 He’s the first dragon I leveled to 25 on my own and I’m very proud of him and I hope to someday give him eliminate but I don’t want to waste a ton on buying one so I hope to find one in the coliseum. 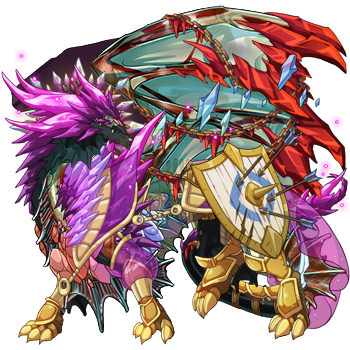 Otherwise Lunarin is the only one on my current team I’ll be keeping long term as he’s one of my favorite dragons. Argus is not on my main team yet but I’m training him up to be soon. He’s a special little boy as he and his sibling were born with rare eyes. [columns][url=http://flightrising.com/main.php?dragon=44043217] [img]http://flightrising.com/rendern/350/440433/44043217_350.png[/img] [/url][nextcol]This is Stormwind - one of my Progens, the one I chose colors for. 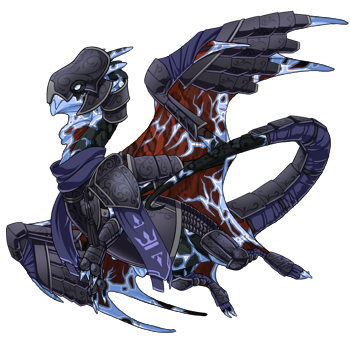 [size=2](Don't you dare look at his tert.. I wasn't aware what that was good for back than, okay)[/size] He is the leader of his Lair, so he's also one of the main Coli Dragons I have. He's a "general farmer", so he's equipped with 3x Berserkers, 2x Ambush, 1x Scratch, 1x Eliminate, 1x Rally, 1x Shred and 1x Sap. [/columns] [columns][url=http://flightrising.com/main.php?dragon=44043218] [img]http://flightrising.com/rendern/350/440433/44043218_350.png[/img] [/url][nextcol]Say hello to Tangwyn! 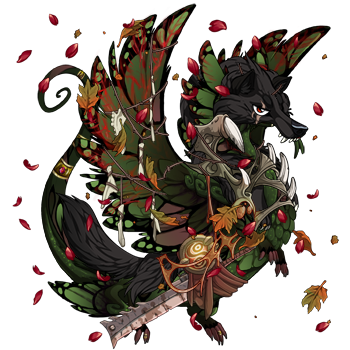 She's my random Progen - and she already got scattered, which made her a lot more beautiful than before. [size=2](Was coral/jungle colored before... I didn't like that combo. )[/size] She's basically statted and stone-equipped like her husband Stormwind, so she is as well one of my two main farming dergs. [/columns] [columns][url=http://flightrising.com/main.php?dragon=43882644] [img]http://flightrising.com/rendern/350/438827/43882644_350.png[/img] [/url][nextcol]This is Lenya - she was the first adult dragon I found on the AH in my first few days - wasn't really aware how Search worked back than, so she isn't really my type of dragon, gene-wise. I'd prefer different genes on her and I'm planning on getting those one day - Iridiscent, Bee&Glimmer is the current plan, but that changes every now and then... She's equipped as a Mire Flyer, so she's the Lair Leveler, and she's doing great, even though she has a few elemental weaknesses in the Mire. [/columns] So, that's the main team. I use all of them for farming in the lower Coli-Levels, and they were the first dragons I managed to get up to Lvl 25 as one group. Without Eliminate. I'm currently leveling 3 more dragons to Lvl 25 - thanks to Harvest's Bonus, I hope I'll be done soon. One of the three is already Lvl 24, she's going to be my Workshop-Healer. This is Stormwind - one of my Progens, the one I chose colors for. 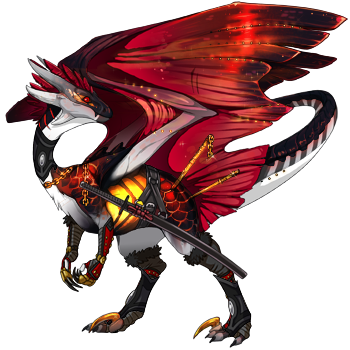 (Don't you dare look at his tert.. I wasn't aware what that was good for back than, okay) He is the leader of his Lair, so he's also one of the main Coli Dragons I have. He's a "general farmer", so he's equipped with 3x Berserkers, 2x Ambush, 1x Scratch, 1x Eliminate, 1x Rally, 1x Shred and 1x Sap. Say hello to Tangwyn! 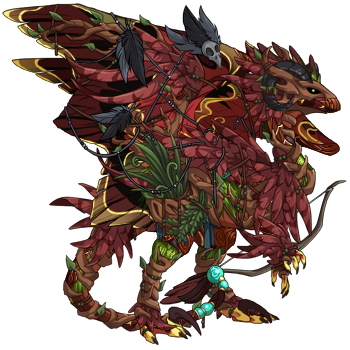 She's my random Progen - and she already got scattered, which made her a lot more beautiful than before. (Was coral/jungle colored before... I didn't like that combo.) She's basically statted and stone-equipped like her husband Stormwind, so she is as well one of my two main farming dergs. This is Lenya - she was the first adult dragon I found on the AH in my first few days - wasn't really aware how Search worked back than, so she isn't really my type of dragon, gene-wise. I'd prefer different genes on her and I'm planning on getting those one day - Iridiscent, Bee&Glimmer is the current plan, but that changes every now and then... She's equipped as a Mire Flyer, so she's the Lair Leveler, and she's doing great, even though she has a few elemental weaknesses in the Mire. So, that's the main team. I use all of them for farming in the lower Coli-Levels, and they were the first dragons I managed to get up to Lvl 25 as one group. Without Eliminate. I'm currently leveling 3 more dragons to Lvl 25 - thanks to Harvest's Bonus, I hope I'll be done soon. One of the three is already Lvl 24, she's going to be my Workshop-Healer. My main coil team is these boys- Sombra, Amadeus, and Njothr, respectively. Sombra was a newbie gift and the other two were early purchases. Lore-wise, they’re all adopted sons of my progens. Amadeus left on his Search very early on, feeling like the plagelands just weren’t quite right for him. He considers the whole clan and its lands to be his Charge, And is very protective of all the dragons who live here, believing them to fall under his responsibility. Sombra was a lost hatchling who found his way to the fledgling clan’s campfire one night. Obviously he was adopted by my nice fluff-parent progens. 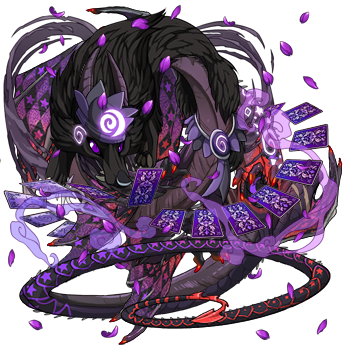 Njothr is a pretty snazzy guy- not quite sure what I was thinking when I put him on my coil team, but eh. Anyways, he’s an entrepreneur of sorts, overseeing a lot of the trade and economics within the Clan. My current coli team [s]I'm leveling (lvl 23 woooooo I'm hoping the exp boost will help with those last couple levels)[/s] that are now max level!! 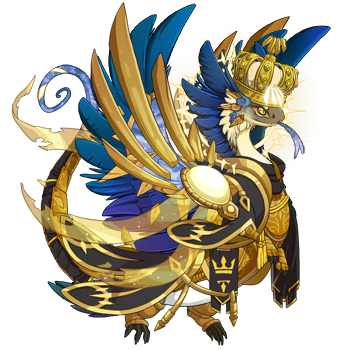 Yaaaay [url=http://flightrising.com/main.php?dragon=39818508] [img]http://flightrising.com/rendern/350/398186/39818508_350.png[/img] [/url] Evelyn is an ex-merc and strong for an Imperial his size. He currently acts as the clan's hatchling healer, but is skilled enough in his general healing abilities to help out other departments. 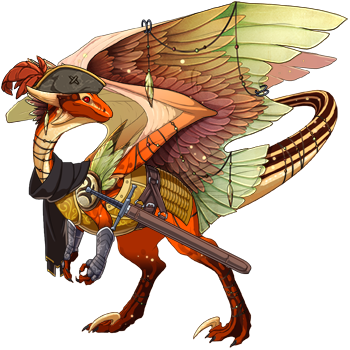 But as a Wind dragon he does love his creative pursuits, his favourite being anything involving needlework. Evelyn's a brawler/healer; while he prefers de-escalation over retaliation, he will turn physical to subdue a threat if he has to. He's one of the first lines of defence for the clan should they come under attack. [url=http://flightrising.com/main.php?dragon=38341258] [img]http://flightrising.com/rendern/350/383413/38341258_350.png[/img] [/url] Diego is Evelyn's adopted son, and met him some time after Evelyn left the merc army. Extremely intellegent but socially anxious, Diego spends most of his time with his father or on his own, studying. Diego's a mage; a curse he was afflicted with as a newborn left him physically weak and quick to tire, but his magic abilities are also uncommonly destructive because of it. [url=http://flightrising.com/main.php?dragon=22493651] [img]http://flightrising.com/rendern/350/224937/22493651_350.png[/img] [/url] And Birdie, who is the current Commander of the same merc army that Evelyn left. I don't have as much on them as the other two, but they're a stoic and honourable leader who tries to use the army to help Sornieth & its residents - including any Beastclan who are will to take the help. Birdie is a stealthy combat pragmatist; they'll use their sword or claws if it's most appropriate, but they've been known to use their enemy's weapons or even hoard items lying around as the need arises. Evelyn is an ex-merc and strong for an Imperial his size. He currently acts as the clan's hatchling healer, but is skilled enough in his general healing abilities to help out other departments. 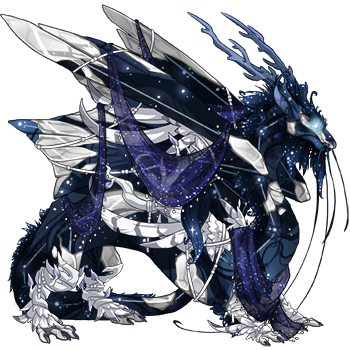 But as a Wind dragon he does love his creative pursuits, his favourite being anything involving needlework. Evelyn's a brawler/healer; while he prefers de-escalation over retaliation, he will turn physical to subdue a threat if he has to. He's one of the first lines of defence for the clan should they come under attack. Diego is Evelyn's adopted son, and met him some time after Evelyn left the merc army. Extremely intellegent but socially anxious, Diego spends most of his time with his father or on his own, studying. Diego's a mage; a curse he was afflicted with as a newborn left him physically weak and quick to tire, but his magic abilities are also uncommonly destructive because of it. And Birdie, who is the current Commander of the same merc army that Evelyn left. 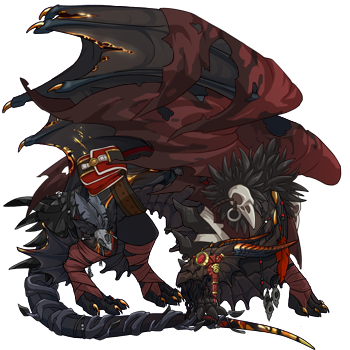 I don't have as much on them as the other two, but they're a stoic and honourable leader who tries to use the army to help Sornieth & its residents - including any Beastclan who are will to take the help. Birdie is a stealthy combat pragmatist; they'll use their sword or claws if it's most appropriate, but they've been known to use their enemy's weapons or even hoard items lying around as the need arises.